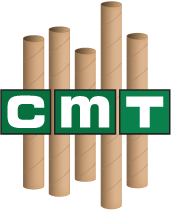 Chicago Mailing Tube (CMT) has provided quality manufactured 5.000" x 30" heavy-duty kraft tubes with plastic ends. Whether you are a small business owner or commercial company, our professional service reps will help you find the exact mailing supplies you need. Our kraft tubes include snapping end caps that lock into place for maximum security. Perfect for shipping documents, posters, and more. We individually test every tube we manufacture to ensure that the snapping ends are efficient, leaving you with the most secure shipping supply solution available. Chicago Mailing Tube has a wide variety of shipping tubes and a complete series of heavy duty 30" heavy duty kraft tubes. 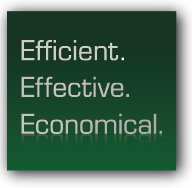 Our quality mailing supplies are manufactured through a highly controlled production plant. Chicago Mailing Tube's facility operates under one roof, therefore, the company produces at top cost-efficiency in order to provide you with the most affordable mailing supplies. 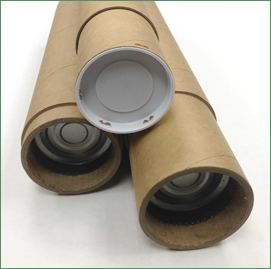 Chicago Mailing Tube is an industry leader of shipping supply companies in the Chicago Area, manufacturing recyclable mailing tubes that are reusable and recyclable. We also offer 24-hour shipping to guarantee a fast delivery. Give us a call at (312) 243-6050 to speak to one of our service representatives about ordering your 5" x 30" heavy duty kraft tubes. No minimum order is required!